If you’ve ever wished you had fuller, pouty, more plump lips, I’m going to share a natural beauty secret that you ladies are going to love. Notice I said, natural beauty secret – so this doesn’t have anything to do with getting expensive lip injections or plastic surgery. Nor does it involve buying cosmetic lip plumpers that are laden with chemicals you shouldn’t be putting on your body (let alone your mouth), and which don’t really work anyway. As is so often the case (though many women don’t realize it) if you really want to improve your physical appearance, the best results come when you approach it from the inside. When you put the right nutrients into your body, you get the right results you want on the outside. So, I know you’re wondering, what nutrients you could possibly take internally that will produce those pouty, perfect, fuller lips you’ve always wanted? Collagen is a natural lip plumper. [I recommend iHerb.com for a wide selection of Collagen –I buy all my supplements there; they truly have the best prices you’ll find, do your own price checking and you’ll see! Use this link to get 5% off your first iHerb.com order]. You already know about women getting collagen injections for fuller lips, but we’re not talking about that. We’re talking about taking collagen supplements in capsule form. In other words, getting more collagen into your body in the form of a nutritional supplement. Yes, it works to plump your lips. And its way easier, far more comfortable, and much less expensive to take a nutritional supplement than it is to get collagen lip injections. You’ll also have a much more natural look by taking your collagen internally than some of the women you see with overly plumped, fake and unnatural looking lips from going over board with the injections. While collagen on its own, taken internally as capsules or powder, will give your lips somewhat of a plumper form, many women stop there with so-so results. There’s more to this equation. If you really want to naturally increase collagen production in your body and get the maximum natural plumping effect on your lips, you should take both a collagen supplement and a Hyaluronic Acid supplement. [I buy all my supplements at iHerb.com – they truly have the best prices you’ll find and the best selection]. Hyaluronic acid is another nutritional supplement which enhances the effectiveness of collagen and helps it work much more effectively. You may have noticed hyaluronic acid frequently listed as an ingredient in expensive skin creams designed to keep skin looking young. That’s because hyaluronic acid, like collagen, can work wonders on the skin, keeping it soft, supple and free of wrinkles. Take your collagen and hyaluronic acid supplements together at the same time – do not spread them apart throughout the day, they should be ingested at the same time to achieve the maximum effectiveness. In addition, you should always take a powerful Vitamin C supplement at the same time, because Vitamin C also helps collagen work more effectively. I personally use Emergen-C, a powdered form of vitamin C which you mix into juice, because it delivers a full 1000 mg of Vitamin C which is excellent. (My favorite is the Super-Orange flavor). But here’s something very important that a lot of women don’t realize when using collagen supplements for natural beauty effect: the collagen supplement you use should always contain the type of collagen known as “Biocell II” – and certainly not all collagen supplements do. This is the more bio-available or bio-active form of collagen, which is why it is referred to as “biocell”, and that means it is more easily taken up and put to use the body. Without that, you are only getting partial effectiveness from your collagen supplement. So this is what you want to look for when you are shopping for a collagen supplement. A lot of people mistakenly think that “Biocell II” is a brand name for a particular product or manufacturer. That is incorrect. It’s a specific type of collagen, as explained above. There are numerous different brands and manufacturers of collagen supplements which contain Biocell II. This type of collagen is the one that consistently delivers the most uniform results for those who’ve actually seen plumper lips as a result of taking these supplements. There are some brands which produce supplements containing both Biocell Type II collagen and Hyaluronic Acid in the right dosages in one product. This is ideal because it cuts down on the number of pills you need to swallow, and it is often more cost effective than buying each supplement separately, so that’s something you might want to look for. The majority of women will experience results in terms of more pouty, plumper, fuller lips on this regime, but of course I can’t promise that it will work for everyone. 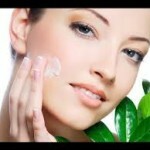 However, Collagen, Hyaluronic acid and vitamin C are very healthy for the body in other ways. If fuller lips are what you want, why not give it a try? Some women start seeing results in as little as a few days, for others it could take a few weeks, so be patient. One other important point about the effectiveness of collagen: Collagen relies on water to do what it needs to do. When you are taking collagen for any purpose internally, it is important to drink healthy amounts of water daily. If you aren’t getting the results you’re hoping for, it is very likely that you are not consuming enough water. Keep in mind that general health recommendations state every adult should be drinking an average of eight 8-ounce glasses of water per day to keep our bodies adequately hydrated and to help ensure proper organ functioning. An ever more accurate guide is that you should consume half your weight in ounces each day. What that means is you take your body weight, divide the number in half, and then drink that number of ounces of water each day. So, for instance, to keep the math easy, lets say you weigh 160 lbs; now divide that by two to get 80. Next, divide by 8 ounces (the size of a glass of water) and you get 10. That means you should be consuming 10-eight once glasses of water daily for your body size. This is just good advice to maintain good health whether you are taking collagen or not. But if you are taking collagen supplements, and you aren’t getting results, its a sure sign you aren’t drinking enough water. You will probably need to stay on these supplements for as long as you wish to to maintain your plumped, pouty lips. I have heard some women say that they stopped the supplements after several months and the effects remained permanent, but that hasn’t been my personal experience. Like myself, you may find that if you stop the supplements, your lips will lose the added fullness you gained, so you may need to keep taking them to maintain th effect. But remember these are nutritional supplements which have a variety of very healthy and desirable effects on the body. Collagen and hyaluronic acid are excellent for the skin and will help to prevent and lessen wrinkles as well as hydrate dry skin from the inside-out (a better and more natural approach that applying chemical-laden skin cream). Both of these supplements are also amazing for hair and nails. They also nourish and heal joints, ligaments and tendons, so if you have problems in those areas you’ll probably find relief, and if you don’t you’ll be taking a pro-active, preventative approach for the future. And collagen also contributes to stronger teeth and healthy gums. What’s not to love? One thing to keep in mind about collagen is that it is a smart nutrient. It goes to where ever it is most needed in the body. So if the greatest physiological need for collagen is in your hair, it will nourish your hair first before any other part of the body. If your greatest need for collagen is in a ligament or tendon, it will go there first. This is why different people see results in the areas they wish to target at different rates of speed. You may want plump, full limps immediately, but your body may know better and may first direct the collagen to another area where there is a greater need. So as is the case with any nutritional supplement, be patient and give it time to work. I always like to read reviews by real users of supplements I am interested in, as well as reviews of the different brands. I guess I’m a bit of a review junkie, but I find it very inspiring, motivating, and informative to read about the experiences people are having with supplements I am taking or considering taking. Below I have excerpted a selection of comments I found around the web from real women who are using Type II Collagen and Hyaluronic acid together for fuller lips. 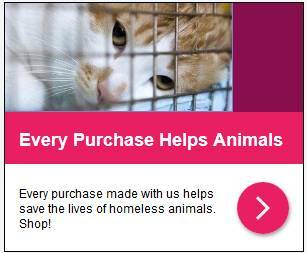 You might find it very interesting to read their experiences as well. “When I first started on the Source Naturals supplement, I took 2 in the am and 2 in the pm, and then, as per their instructions, cut back to 2 in the pm, and have maintained the effect. I had stated earlier that I was amazed by the results and I still am”. “Like I said, just take two pills per day (morning & evening) for the first couple days, then you can cut back to one pill per day. You have to remember that the instructions on the label are for joint health/arthritis issues, and not for plumping lips!!! So its okay to take more”. “Provided you’re taking the dosage recommended, if the supplements are going to work for you at all (out of everyone who’s tried, I think it’s only 3-4 that didn’t get see any lip plumping), you should see results within 1-2 days. If you have any questions, feel free to leave a comment and I’ll do my best to answer. And if you try this approach for plumper, sexier fuller lips naturally, I’d love it if you come back and leave a comment about your experience. 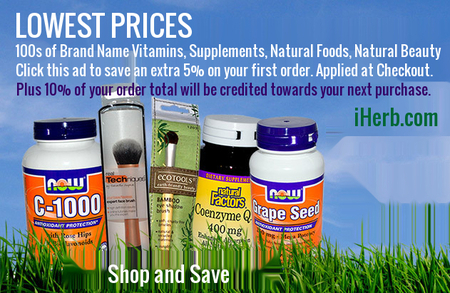 Buy your supplements at iHerb.com and get 5% off your first order.